Unit Studies, Charlotte Mason, Unschooling, Classical? Which homeschool method is right for your homeschool? 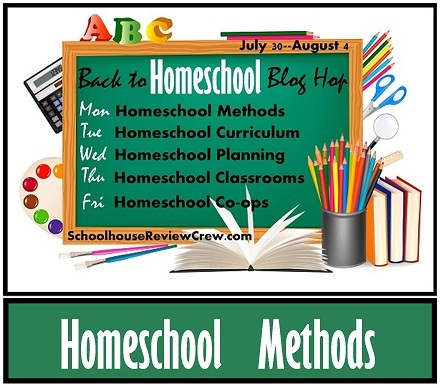 Welcome to the first day of the Schoolhouse Review Crew’s 5 Days of Blogging — Back to Homeschool Blog Hop! Today, more than 70 of our amazing Crew members tackle the topic of Homeschool Methods, bringing you their expertise, experiences, tips, and recommendations! We are all so excited to get to share with you this week! Whether you’re new to homeschooling or are a seasoned veteran, you’re sure to find lots of inspiration as you hop along from blog to blog! Be sure to join us tomorrow when we will be discussing Homeschool Curriculum!